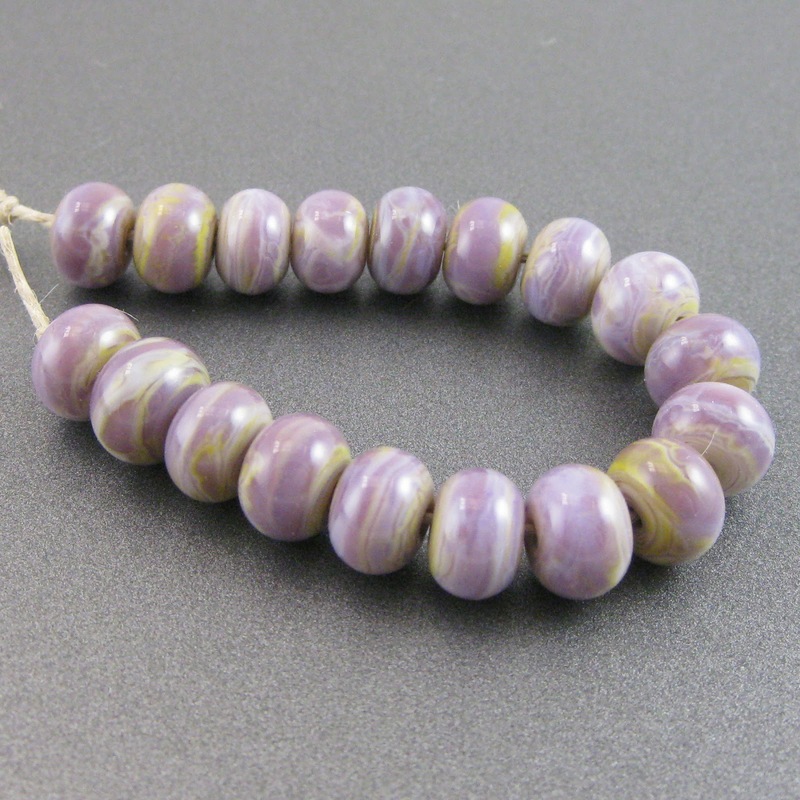 CiM Lilac (CiM912) is a pretty, soft pink with lavender overtones. It reminds me a lot of Heffalump, although Heffalump is much more on the purple side. Lilac does not change colour when you reduce it. 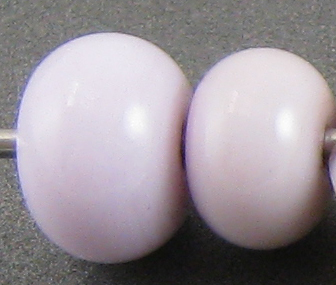 Here, the smaller bead on the right was reduced but the larger bead was not. Silver turns Lilac a golden yellow colour. When the silver is reduced and encased, this colour change is much less pronounced. Reducing silver glass is very pretty on top of Lilac, with the fritty bits developing interesting halos and fuming the Lilac an uneven yellowish colour. 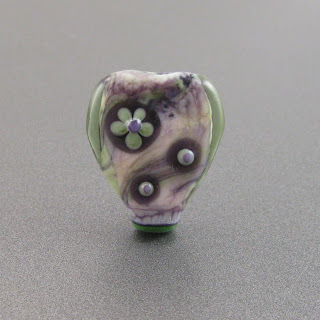 As a base for striking silver glass, Lilac is unremarkable. 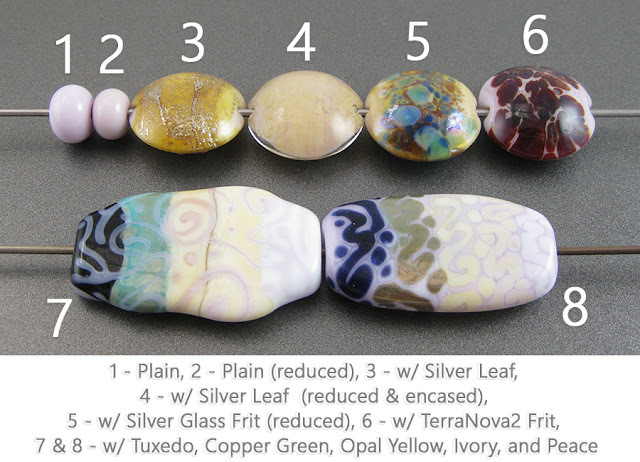 Lilac separates on top of Ivory, Tuxedo, and Copper Green, and in thin layers is quite translucent. Lilac rises up in halos around Tuxedo stringer lines and dots. Opal Yellow, Ivory, and Peace all spread on top of Lilac.